In Enterprise Architect, the TOGAF Framework is presented as a predefined model. 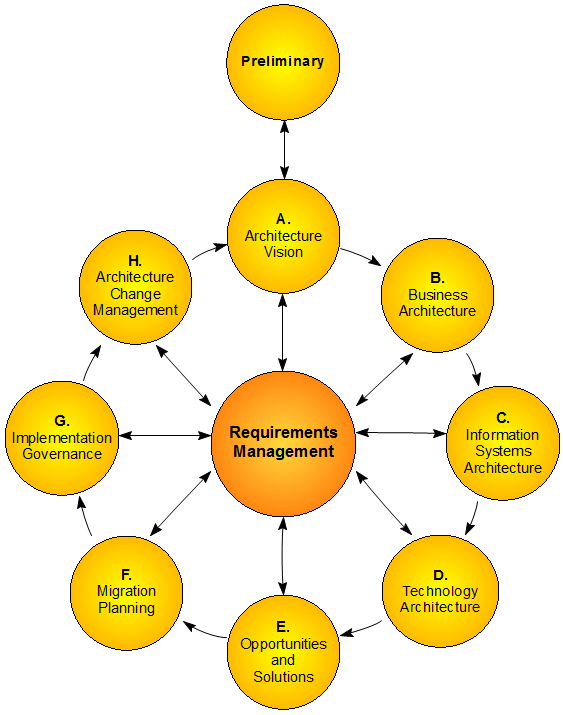 The model-level diagram of this model structure is the TOGAF Interface diagram, which serves as a user interface for the development of Enterprise Architecture based on TOGAF. The TOGAF Framework model makes use of UML Packages, which is apparent from the model structure diagram. The Interface diagram itself is a standard UML Package diagram, using custom images. Double-click on a cell of the Interface diagram to open the model Package and diagram corresponding to that particular ADM phase.